CubCrafters Carbon Cub EX-3 – The Best Airplane Kit We’ve Ever Offered? 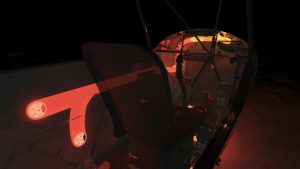 Carbon Cub EX-3 – The Best Airplane Kit We’ve Ever Offered? Ever since we started selling kits 9 years ago, we’ve remained dedicated to those who enjoy the process of building and flying their own aircraft. Since we’ve certified the XCub, we’ve incorporated the engineering know-how gained from its development throughout our product line and into our experimental category. This makes the Carbon Cub EX-3 kit one of the safest kits you can buy. 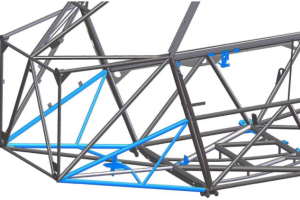 While the Carbon Cub EX-3/FX-3 airframe is quite similar in appearance to previous Carbon Cubs, we’ve added 9 new structural support tubes, 4 of which have increased in diameter. These tubes help support an increased gross weight of 2,000lbs and bring the useful load up to 977lbs, more than any other Carbon Cub we’ve made. This increase in gross weight required other structural changes to the aircraft. We strengthened the rear wing spar attach point as well as the strut attachment point. Instead of using bolts on the strut attachment points, we’ve opted for rivets and now use a stronger aluminum material. Between the wing and strut attachment points, we have reduced the part count by about 124 parts. This makes your airplane easier to build without compromising structural integrity. These changes, among many others, not only makes the aircraft safer under load but has allowed us to increase our VNE from 139 mph on EX-2 to 170 mph on EX-3. 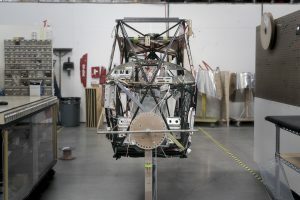 Carbon Cub FX-3/EX-3 has inherited the G-Series flaps and ailerons from XCub, but uses cables rather than XCub’s pushrods. Since we’re using a more effective flap than previous Carbon Cubs, we’ve re-enforced the skin on the flaps to withstand a higher load. We’ve developed an entirely new engine in cooperation with Superior Air Parts, Aero Sport Power for the Carbon Cub EX-3/FX-3. 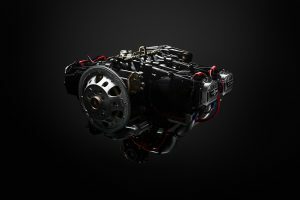 The CC363i is a lightweight 4 cylinder fuel injected engine that spins a Hartzell Trailblazer constant speed prop. We decided on using the Hartzell Trailblazer after testing the effectiveness of a constant speed prop on our XCub. Constant speed props allow us to optimize our engine for a specific RPM range while giving the pilot the ability to adjust thrust and engine RPM independently from one another. We’ve also kept maintenance in mind while designing the EX-3/FX-3. Instead of a baffle that encloses the top of the engine, we have designed the upper cowling to be the top portion of the baffle. This means only the upper cowling needs to be removed if you need to work on spark plugs or perform other maintenance on the top portion of the engine. Inside the cabin, we have a dual zone heater that produces an estimated 300% improvement in heat dispersion. The heating system includes vents for the front seat, rear seat, and a windshield defroster. Our front seat also features our standard cupholders, ensuring you always stay hydrated while in the air. These are only a few changes we have made to our EX-3. If you’d like more information on our EX-3, contact mitch Travis at Mitch.Travis@CubCrafters.com Or visit the EX-3/FX-3 product page here. My major complaint with your planes has been the noise level in the cockpit. It is in fact the major reason I have not bought one. I know that you have eliminated the muffler in your prior designs. Is there anything that can be done to get the noise down in the new EX version? I fly with my dog a lot and want a quieter environment for him..
Bones noise cancelling headphones for the dog! Awesome, just wish it was approved in the UK!